A chronicle of the nearly decade-long scandals and legal drama surrounding world's richest woman Liliane Bettencourt and the uber-wealthy family behind the L’Oréal empire. ...riveting page-turner chronicling this sweeping Tolstoyan saga ... A former Time Paris bureau chief, Sancton is perfectly placed to document this extraordinary story and the haute Parisian power milieu in which it is embedded. In gripping but unsensational prose, he brings the debacle alive in its many dimensions, recreating not merely the lurid courtroom drama, but capturing 'the ineffable sadness at its heart ... Judiciously, Sancton doesn't take sides, restricting himself to perceptive observations about the Freudian motivations driving the dramatis personae of this family battle. Sancton lacks a gift for dish. But he is an excellent straight-up reporter, and he has dug deeply into the many, many elements that complicate this story ... For most of the book, Sancton makes Banier sound like a pure social climber. But suddenly, near the end, he begins to celebrate the man’s protean talents...Sancton’s account leaves Banier in 2016, through with his ordeal and not too much the worse for wear. He was sentenced to four years in prison, but got out of serving any time in a follow-up judgment. He likes fame, though he insists otherwise. This book may give him another shot at it. Mr. Sancton covered the episode’s many twists and turns closely for Vanity Fair magazine, and the book that has emerged from his reporting on the case is surely the definitive account ... While Mr. Sancton deserves credit for the depth of his investigation—he interviewed some 60 people, including lawyers, politicians, celebrities, and servants—the Bettencourt affair is treacherous territory, even for a veteran journalist. Mr. Sancton’s account is a bit too taken with idle gossip. Mr. Sancton also seems at times to have fallen under the charming spell of Mr. Banier ... Mr. Sancton’s account also suffers from the silence of Ms. Meyer and Ms. Bettencourt, both of whom turned down his requests for interviews ... [a] riveting, if somewhat tawdry, telling. 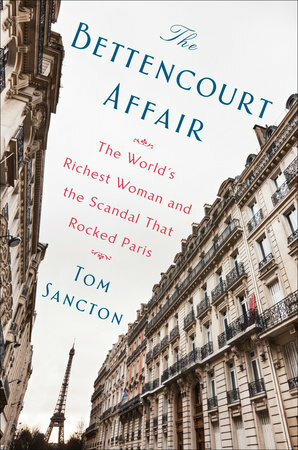 What did you think of The Bettencourt Affair: The World's Richest Woman and the Scandal That Rocked Paris?